In the early 1970s the US Air Force required a light-weight air combat fighter. 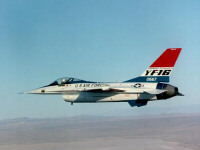 On 2 February 1974 the YF-16 designed by General Dynamics made its first flight. The YF-16 emerged from a competitive evaluation against the Northrop YF-17. Not only because of its superior performance and innovative design but also because of the lower estimated production costs. The F-16A first flew in December 1976 and the first operational F-16A was delivered in January 1979 to the 388th Tactical Fighter Wing at Hill Air Force Base, Utah. The F-16B was a twin-seat version of the F-16A with an extended canopy and dual controls. 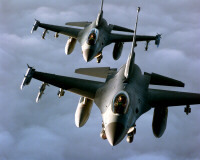 The F-16C and F-16D aircraft, which are the single- and two-place counterparts to the F-16A/B, incorporate modern cockpit control and display technology, improved combat capabilities, and other improvements including improved versions of the two engine options. The F-16CJ is a modified F-16C for the SEAD role. The last F-16C/D Block 52+ produced are true multi-role fighters and are equivalent to newer fourth generation designs in terms of capabilities. Belgium, Denmark, the Netherlands, Norway had an agreement with the USA to jointly produce the F-16AM/BM, the partnership known as European Participating Air Forces (EPAF) also resulted in the phased Mid-Life Update for the European F-16s. Portugal joined the EPAF later having received two batches of former-USAF F-16s. 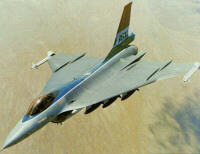 The MLU introduced similar improvements to the F-16 as the later C/D versions in terms of combat capabilities. On 18 March 2005, Lockheed Martin Aero plant in Fort Worth, Texas, delivered the final F-16C Fighting Falcon for the US Air Force. A total of 2231 F-16s have been produced for the U.S. Air Force, the active USAF ACC/ANG fleet of today counting more than a thousand F-16s. 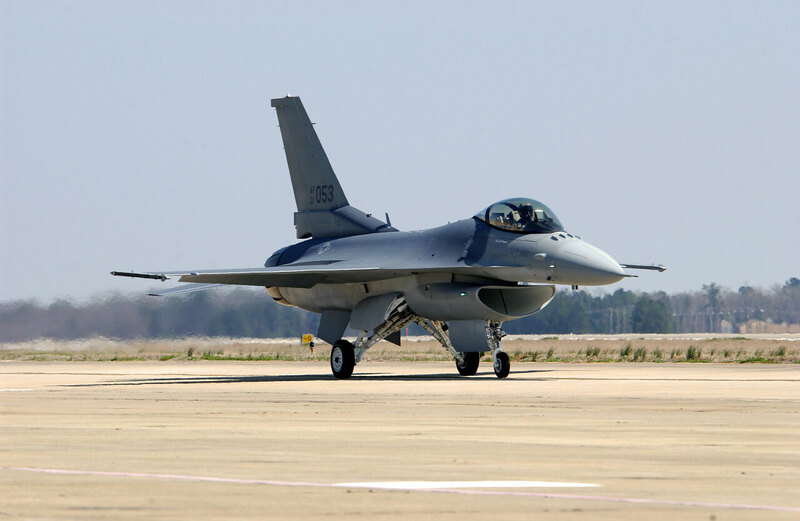 The latest generation of the Falcon are the Block 60 F-16E single and F-16F two-seat fighters. These aircraft feature the latest technology improving the combat effectiveness and multi-role capability of the aircraft. The United Arab Emirates became the first customer. The first Block 60 made its maiden flight in December 2003. Deliveries of these variants have started. Meanwhile Israel took delivery of the F-16I, which is a customized version with Israeli avionics and weapons similar to the latest Block 52+/60 configuration. Lockheed Martin continues to produce new F-16 fighters for international customers, and has plans for an ultimate version for export. USAF F-16s were deployed to the Persian Gulf in 1991 in support of Operation Desert Storm, where more sorties were flown than with any other aircraft. These fighters were used to attack airfields, military production facilities, Scud missiles sites and a variety of other targets. USAF, Dutch, Turkish and Belgian F-16s flew air combat mission over Bosnia in 1995 performing multiple tasks in a swing-role fashion, while in 1999 during Operation Allied Force against Serbia, the F-16 had grown into a full multi-role fighter-bomber flying a variety of missions to include suppression of enemy air defense, offensive counter air, defensive counter air, close air support and forward air controller missions. Mission results were outstanding as these fighters destroyed radar sites, vehicles, tanks, MiGs and buildings. A Dutch F-16AM shot down a MiG-29 Fulcrum using a medium range air-to-air AIM-120 AMRAAM missile. F-16s also saw extended rotational deployments in support of the wars in Iraq and Afghanistan, although actual combat was foremost close air support. In 2011, USAF F-16s flew SEAD missions during the strikes against Libya, while other countries' F-16s took part in enforcing the UN resolutions for Libya. Israeli F-16s have been used extensively in combat, and scored 47 kills to date. They were also used in the 1981 bombing of the Iraq's Osirak nuclear reactor. Although fourth/fifth generation types will dominate the headlines in future conflicts, upgraded and modern F-16s will continue to be deployed for combat in the coming decades.